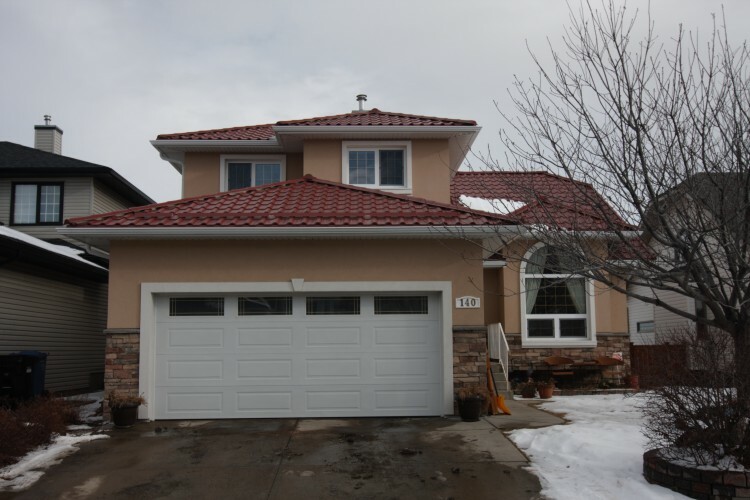 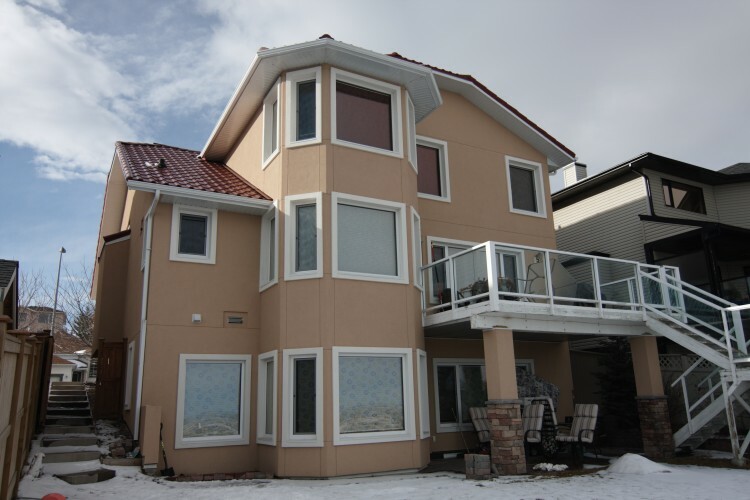 Completed in the summer of 2014, this full exterior renovation in Calgary’s suburban NW neighbourhood showcases most of the products we offer. 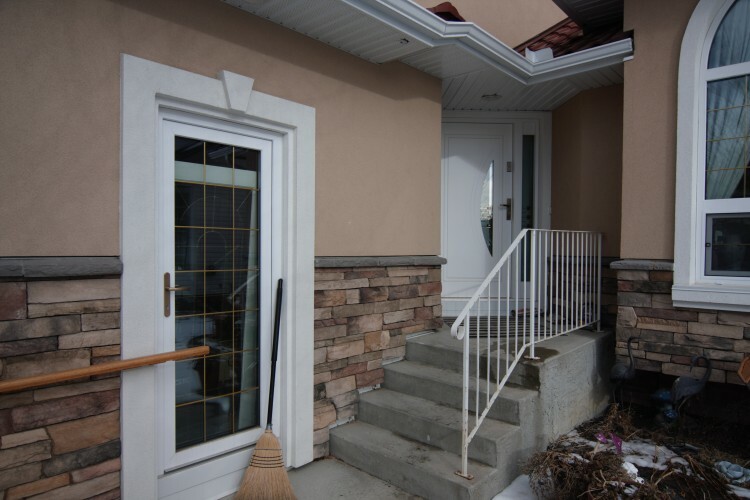 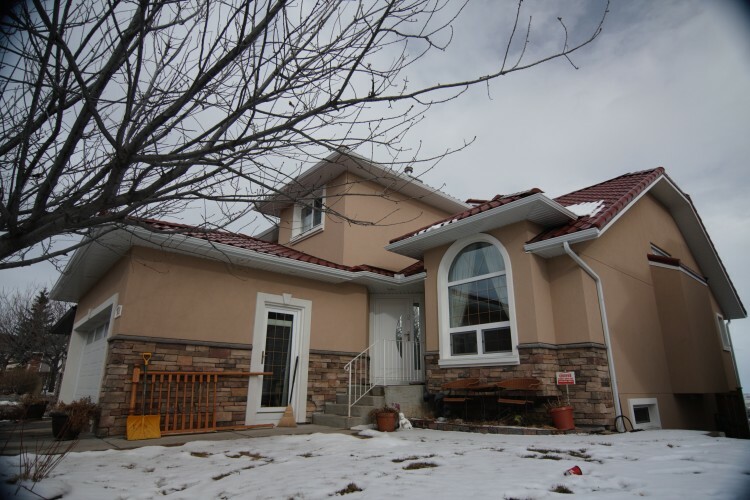 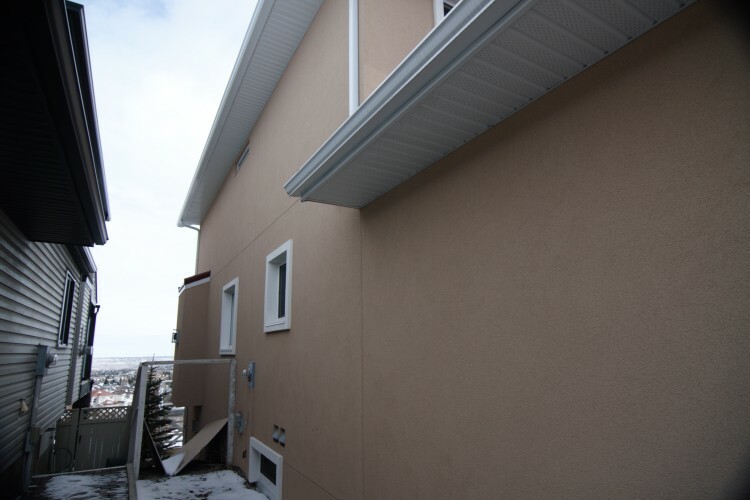 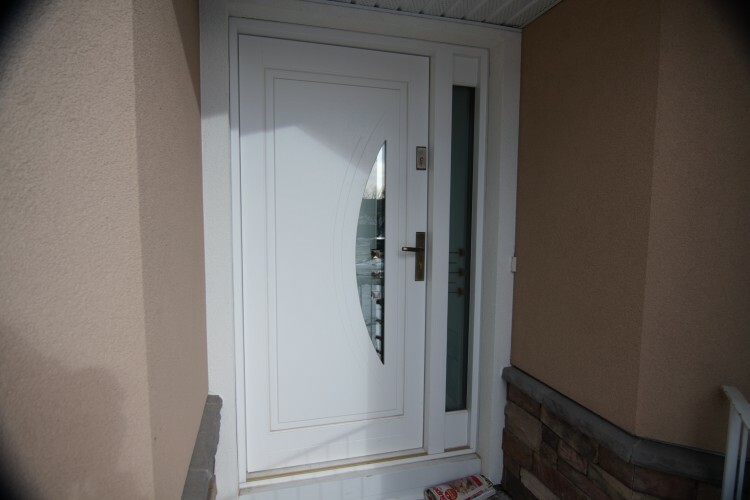 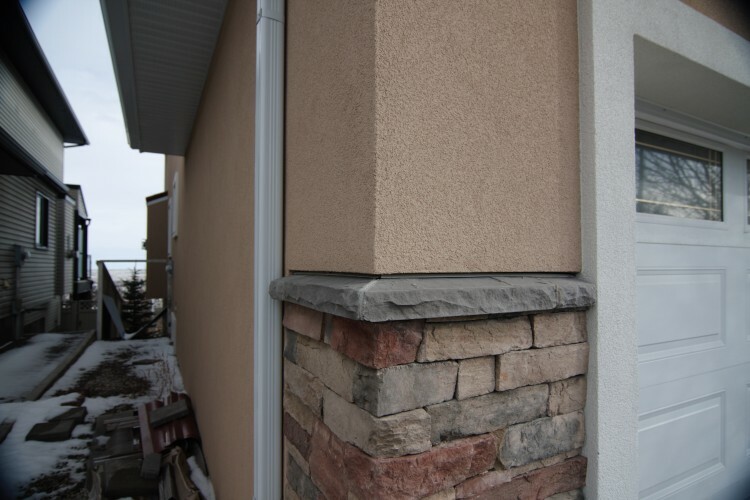 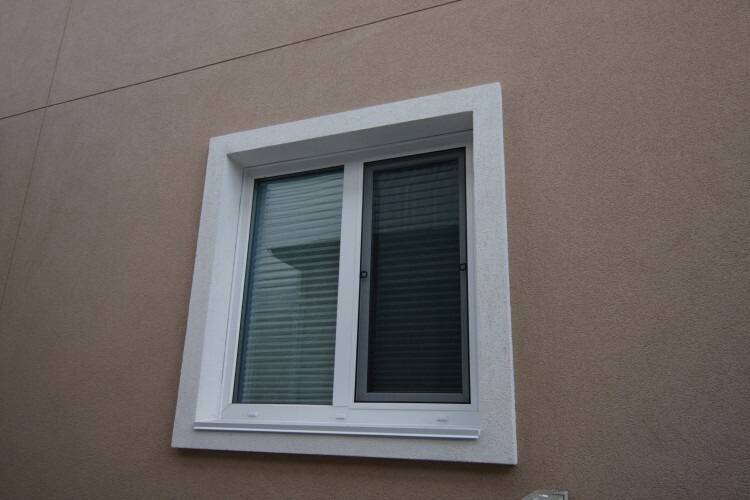 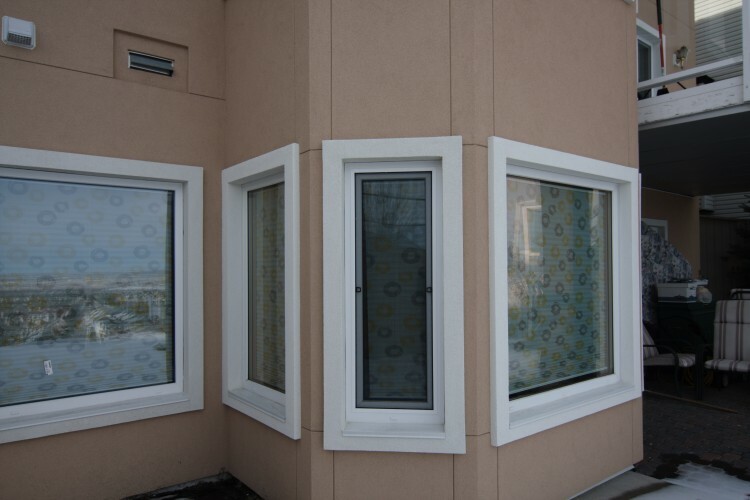 Beige acrylic stucco on 3″ thick styrofoam to aid in insulating the house with contrasting white acrylic battens, “Chardonnay” Cultured Stone, white vented aluminum soffit and flashings, white and gold PVC MS “fixed” and “tilt and turn” windows and doors, white and gold wooden Agmar entry door, and various styles and colours of Anwis window shades. 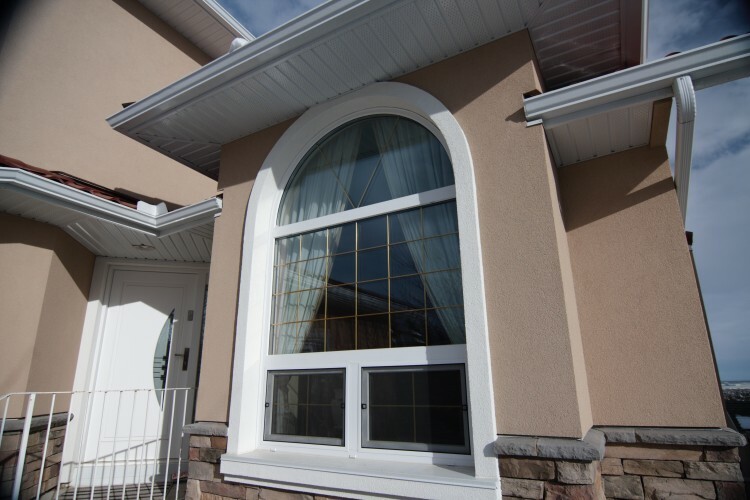 ZZ Construction truly is a one-stop shop for your exterior renovation!